Xysts within the grounds of a palatial estate. That would be an apt metaphor for Danny Gormally’s deep and detailed annotations to some 39 thrilling attacking games. For the first two chapters, Gormally concentrates on some eight games of Mikhail Tal. Eleven pages are given over to the first game, eight pages to the 8th and last game: just to give you a sense of how in-depth and lengthy Gormally’s notes are. Up later there are chapters devoted to four current players, all of whom could be said to have picked up Tal’s baton and run with it: Shirov, Topalov, Morozevich and Anand. His next chapter is a bit sketchy: one game each by Fischer, Karpov and Kasparov, two games by Carlsen – a bit of a mixed bag, in truth. Yet the quality of the annotations makes up for it all. The last chapter has five of Gormally’s own attacking games, showing that he can also walk the walk when it comes to attacking play. 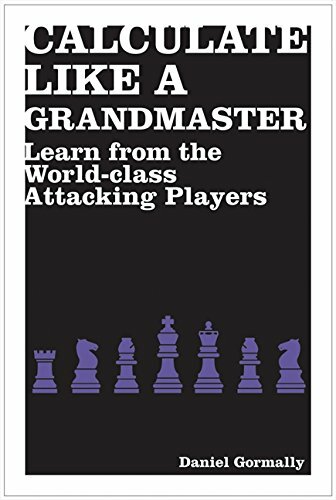 Studying such spectacular chess is enjoyable in itself and it is also, as Gormally explains, an effective way of developing the two key skills of analysis: accurate calculation and evaluation. The book is, as well, an entertaining read, not least for Gormally’s digressions on diverse topics: an ICC addict’s typical day; the strength of computers; the conditions and prize money on offer at your usual weekend congress; and psychology. And a few other topics an’ all. Zeal is a precious quality, as rarely seen as an Aardvark or an intact £5 note, and Gormally’s zeal for chess shines through in this terrific book. This very instructive book has a unique format, well worth describing in detail. First and foremost, it is a collection of 25 of Boris Gulko’s best games, each one quite different in character and full of incident and interesting moments. His opponents include Kasparov (in fact, there are two victories against him), Karpov, Korchnoi, Smyslov, Adams and the current world title challenger Boris Gelfand. So, they are games of an extremely high-calibre indeed. As far as I can see, there are no gross errors in any of the games; Gulko prevails by gradually outplaying the opposition. What makes the book special is that the games are commented upon by Dr. Joel R. Sneed, one of Gulko’s students, as well as by Gulko himself. Sometimes, Sneed will ask a question – and more often than not they are very astute questions – which Gulko will answer, authoritatively and (if need be) at length. At other moments, Gulko will ask Sneed a question, to test his understanding, and then either praise, gently correct or expand upon his student’s response. It is a continuous Socratic process and, in addition to this ongoing dynamic, Gulko sets certain specific exercises, based around the critical positions in each game. On a prosaic note, there are several diagrams to each game, many more than normal (I counted 19 diagrams in one game), so you can easily follow the play without board and pieces. In comparing Sneed’s often quite reasonable and sensible evaluations and conclusions with Gulko’s, you’re struck by the grandmaster’s deep understanding and seemingly complete grasp of the subtleties of each position, which seems of a different order entirely. He has, of course, lived each and every one of these games and has no doubt analysed them exhaustively. Still, there is a palpable qualitative difference in understanding and cognition between the two authors. I believe that all players will learn an immense amount and benefit mightily from this book. Essentially, you are given 25 in-depth tutorials by a world-class grandmaster. It is a (grand) masterclass and a half. It is impossible to recommend this book highly enough. Ten out of ten. The publisher’s description of Lessons with a Grandmaster can be read here. Checkmates aplenty make for a wonderful book. From what I can gather, it is apparently a translation of a Russian title which was first published in the late 1970s. Of the very many wonderful combinations included in the book, the latest one dates (I’m fairly certain) from 1978. It is as though Kasparov had never lived, or at any rate had never checkmated an opponent’s king. That being said, there is no doubt that 1000 Checkmate Combinations is excellent, containing as it does a wealth of tactical examples, including 456 (!) exercises. The solutions could perhaps have been more fulsome and detailed, since usually only the main line of a combination is given. However, that’s my only (slight) criticism. The conclusion has to be: better late than never. The structure of the book is as follows. There are 14 substantial chapters, each one being devoted to a piece (chapters 1-5) or a pairing of pieces (chapters 6-13: for example, chapter 13 focuses on ‘Queen and Knight’) or ‘Three Pieces’, which is the title of chapter 14. In each chapter, we are given a survey and a discussion of how a particular piece, or a particular combination of pieces, can come to deliver checkmate before moving on to actual cases and getting down to business. For example, the chapter on the knight focuses quite a lot on the smothered mate, which necessarily introduces the concepts of double check and deflection. Along with these, there are also various motifs and manoeuvres that may arise preparatory to delivering a smothered mate, involving driving defending pieces away from crucial squares or compelling certain defending pieces to occupy squares around their king. All of this is set out by the author in a quite perspicacious and exemplary manner. On the whole, the prose in this unattributed translation is clear, engaging and very readable. Henkin explains everything very well indeed and the points he makes are richly illustrated with a bevy of beautiful combinations taken from games, studies and problems. One mighty fine thing about the book is that, because there are so many diagrams and with the combinations being generally quite short (say 7 moves maximum), it can be read by itself, without need of board and pieces. 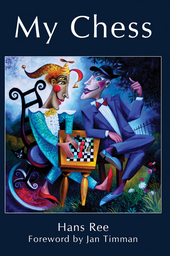 You can buy 1000 Checkmate Combinations at Amazon here. The Tarrasch Defence is an opening that promises classical play, proper grown-up chess. The book is an excellent introduction, looking at the opening mainly from Black’s viewpoint, and is in five parts. Part 3, let us begin in the middle then time-shift later, presents a detailed survey (I count some 50 pages) of what Alexey Bezgodov calls the Kasparov System, which is clearly Black’s best approach. It arises after the moves: 1.d4 d5 2.c4 e6 3.Nc3 c5 4.cxd5 exd5 5.Nf3 Nc6 6.g3 Nf6 7.Bg2 Be7 8.0-0 0-0 9.Bg5 cxd4 10.Nxd4 h6. All very logical and efficient and understandable. Here, White usually goes 11.Be3 but 11.Bf4, or indeed the capture 11.Bxf6, are decent enough alternatives. There is thorough coverage of them all. Part 2, to backtrack a bit, is the largest section of the book (80 pages). We look here at a range of ways by which White might deviate from the logical sequence of moves (I won’t repeat them again; see above) leading to the Kasparov System. White might plumb for the quiet Symmetrical System on move 4 (4.e3) or essay the reckless Marshall Gambit, an act of self-harm more than anything, a move later (5.e4). An early development of the queen’s bishop to g5, f4, or e3 comes into consideration as well (mind, avoid Romanishin’s 4.Be3 because of the devastating reply 4..e5! and Lputian, his opponent, won in 24 moves). Or the bishop might go to e3 at a later stage (9.Be3) or be developed on the flank (following 9.b3). Other logical approaches involve capturing on c5 (9.dxc5 Bxc5) then following up with 10.Bg5 to pressure d5 or 10.Na4 Be7 11.Be3 and 12.Rc1, focusing fire-power on the dark squares on the queenside. In summary, Bezgodov concludes that while White has plenty of options, Black can equalise. While these lines are unfashionable at the minute, they lead – as Bezgodov shows – to decent, playable positions for Black. Salwe’s move has a bad reputation because, in response to it, Rubinstein created one of his positional masterpieces (the game versus Salwe at Lodz, 1908), but Black can undoubtedly improve. Half a century after Rubinstein-Salwe, Bronstein played 8..Qb6 against Kortchnoi and drew. Part 4 (70 pages) examines how a quartet of great champions – Kasparov, Spassky, Keres and Gligoric – played the Tarrasch Defence, and played against it. There is an abundance of entertaining and instructive chess on display here, and a special highlight is Kasparov’s theoretical duel with Smyslov, four high-quality games from their final candidates match in 1984. Finally, Part 5 (55 pages) is all about training, testing your knowledge and understanding of the opening. You are given 96 challenging exercises, followed by detailed solutions in the form of complete games. Two minor criticisms, so let’s get them out of the way. First, no mention of John Nunn. He played the Tarrasch Defence well, though rarely, in his chess career and has some decent games with it. I would have liked to have seen one of them. Second, the book raised a few move-order questions but never really answered them. Here is one: in the Lasker-Capablanca System, should black play …Be6 before …0-0? (say, 8…Be6). What are the pros and cons of doing so? It seems from a Marshall-Capablanca match-game in 1909 that 9.Bg5 Ne4! equalises when Black goes with an early …Be6. How then should White best respond? This question might have been addressed in the context of games 23 and 24, or indeed game 168 (the Marshall-Capablanca game above), but wasn’t. Overall though, this is a brilliant book on a venerable opening that possesses a lot of vitality still. The Tarrasch Defence is a sound, principled and positionally based way of fighting for the initiative from move 3: just look at its pedigree, an ardent advocacy over many years by Spassky, Kasparov et al. It leads to middle-games where Black’s active centralised pieces and use of open lines fully compensate for the isolated queen’s pawn (IQP). Indeed, even when this pawn is sacrificed (or inadvertently lost) Black’s pieces are often active enough to ensure a draw. There are 217 annotated games here, and a close study of them will give you a feel and fluency for the Tarrasch that will be invaluable in actual play. Finally, Bezgodov equips you to play five (count them: five) different systems in the Tarrasch Defence. Now that’s good value in anyone’s book. 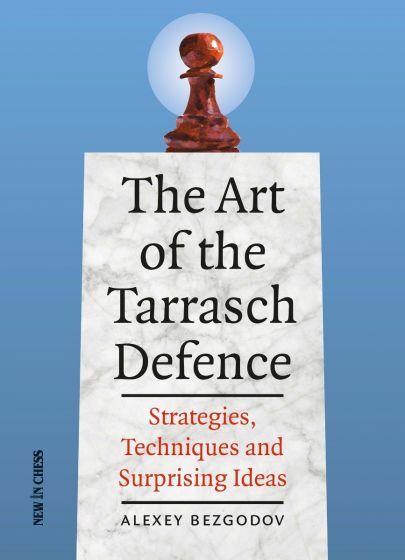 The publisher’s description of The Art of the Tarrasch Defence is here. 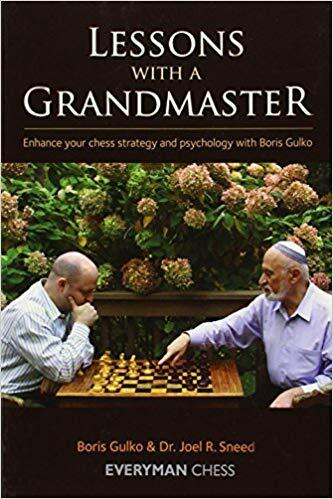 this book examines the opening repertoire of the late Aleksander Wojtkiewicz (1963-2006), a strong and successful grandmaster. A piece of advice one quite often hears, when presented with the problem of deciding on an opening repertoire, is to take a famous player as a model – a player whom one admires or feels an affinity towards – and to adopt his or her openings en masse. The point is that one will thereby benefit from the great player’s experience, for why reinvent the wheel when there is a perfectly acceptable wheel that you can profitably emulate? There are 40 of Wojtkiewicz’s games here and they show a player with an attractive positional style and an emphasis on technique. He had as well an impressive feel for the coordination of his pieces. On the whole, the opening systems reflect this in that they are solid and carry very little risk for White. Barring a gross error, there is always the possibility of a draw if matters do not turn out as well as expected. As the subtitle indicates, we are looking at matters from White’s perspective. Also, bear in mind that this is the first of a series of three volumes and it only covers the position following 1.Nf3 d5 2.d4. The lynchpin of the repertoire is the Catalan, usually reached after 1.Nf3 d5 2.d4 Nf6 3.c4 e6 4.g3, and the authors devote the bulk of the book (just short of 250 pages) to this opening system. Although the emphasis throughout is on strategical themes and ideas, there is quite a lot of detailed analysis too, spread out amongst the 75 annotated games. Wojtkiewicz’s efforts on the White side are supplemented by guest appearances by the likes of Kasparov, Kramnik, Gelfand et al in the other 35 games. Wojtkiewicz had certain favoured ways of meeting the Slav Defence (he went with 4.Qc2 rather than the standard 4.Nc3); the Queen’s Gambit Accepted (he played 7.dxc5, a move Spassky essayed a fair few times in the 1992 match versus Fischer; and the Tarrasch Defence (where he preferred the line 9.b3). All of these lines are fully covered. I would have welcomed a consideration of 2…Bg4, Chigorin’s ‘other defence’, that’s my only slight criticism of the book. It is a curious omission, actually, since chapter 17 looks at 2…Bf5 fairly thoroughly. Wojo’s Weapons: Winning With White, Volume 1 is a good introduction to the Catalan and the selected games are generally attractive and instructive, though unspectacular. It can be recommended for players who open 1.d4 or 1.Nf3 and who don’t mind playing a sometimes slightly boring position, so long as their opponents are bereft of counterplay. All in all, a thumbs-up. The Wikipedia entry on Aleksander Wojtkiewicz can be read here. The publisher’s description of Wojo’s Weapons: Winning With White, Volume 1 by Jonathan Hilton and Dean Ippolito can be read here.